In the late 1920s, William Randolph Hearst hired Julia Morgan to design a beach front estate for Marion Davies on the “Gold Coast” of Santa Monica. 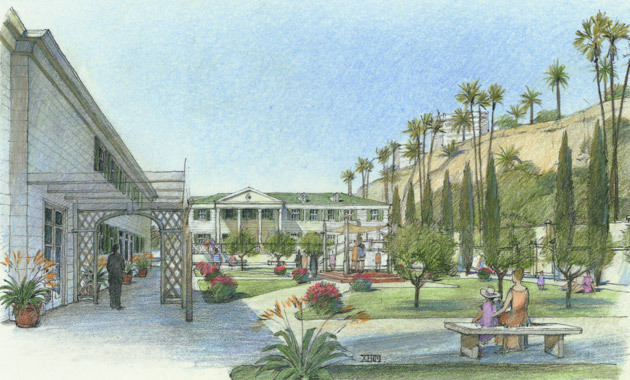 From the 1940s to the 1990s, the five-acre site served as a beach club. Although the main house was demolished in 1957, the remaining original structures, including the pool, are historic landmarks. The 1994 Northridge earthquake badly damaged all buildings on the site. 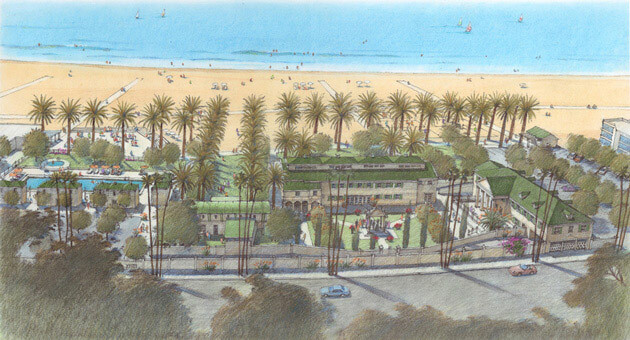 This project for the City of Santa Monica maximizes the public benefit derived from access to coastal facilities. Located between the bluffs and the ocean, it includes a restaurant, recreation areas, public gathering places, meeting and banquet rooms, outdoor dining areas, and an interpretive center. 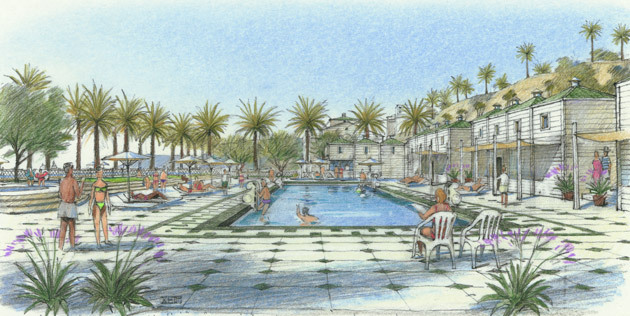 Its program restores all historic elements and includes complementary new buildings and gardens. Comprehensive water management exceeds City of Santa Monica green guidelines. The building utilizes the LEED standards for green building.